Nestled in the gorgeous mountains of Utah, you’ll find Sandy City surrounded by incredible scenery and full of fun things to do and explore. No matter where you’re headed in the area, you’ll need a reliable car to get you there. You can find just what you’re looking for at the used car dealer near Sandy City, UT, Volkswagen SouthTowne. Once you find a used car that you love, the first thing you’ll want to do with it is slide into the driver’s seat and take it for a spin around the area to get a feel for it. Here’s a few of our favorite places to go near Sandy City. Get outdoors and experience the beauty of the area by taking a trip to the nearby Lone Peak, one of the taller mountains in the Wasatch Range. There’s gorgeous hiking trails to traverse and, for the truly adventurous, opportunities for rock climbing up the mountain. There’s also many other trails and mountainous areas to explore, so be sure to visit all of them. Take the whole family to Loveland Living Planet Aquarium to experience a variety of marine life. You can get up close and personal with a variety of animals, and there’s always special presentations to check out. It’s also a fun and unique venue to host a birthday party or wedding, with a backdrop of exotic fish, coral, stingrays, and other creatures. You can find a wide selection of cars at the used car dealership near Sandy City. Stop by to see what’s on the lot or head to our website to look at our online used inventory. There, you’ll find everything from the sporty Golf hatchback to the capable Tiguan SUV, so there’s a model to meet any lifestyle needs. You can find out which vehicle is right for you by using the helpful filtering tools to find the models that meet your price, fuel efficiency, and other criteria. You can also stop by or pick up the phone to consult with a member of our expert team, who can answer any questions that you may have and guide you toward a used car that’s right for you. 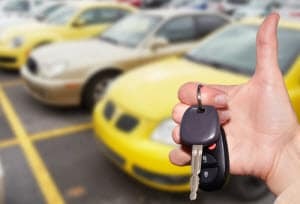 Once you settle on a used model or two that you’d like to consider further, let us know and we’ll help you to schedule a test drive so you can get behind the wheel and take the used car for a spin. If you’re ready to find a car that you’ll love for years to come on your commutes around Sandy City and beyond, get started by taking a trip to our website or coming to see us at our dealership. We’ll help you to find your dream car, and our Finance Center will get you the payment plan you need to afford it. We can’t wait to meet you!